Computers are heralded as offering great educational advantages for our children, especially children with some learning difficulties. There is some evidence to suggest though that computers can present a barrier to learning in some situations for some children. The main developmental needs of children under three are physical. Toddlers need to be physically stimulated to get them crawling and then walking. They are constantly on the move and use their interaction with the world and people around them to learn new language and motor skills. Computer use at this age, while introducing children to technology, could inhibit some of the normal development process. As the nature of using a computer is largely static and solitary it develops other skills which can detract from natural developmental learning. Short bursts of computer time as part of an active toddler life shouldn’t impact too much though and may help your child understand computing later in life. In early school years teachers are increasingly using the computer as a tool to encourage learning but possibly to the detriment of practising hand writing and mental arithmetic. 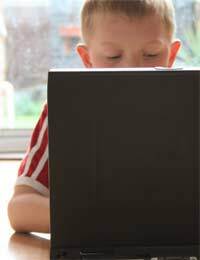 A study undertaken at Munich University surveyed 100,000 children in 31 countries to see the impact of technology in learning suggests that children who use computers in the classroom are more likely to underperform in literacy and numeracy. They concluded that computers are not in themselves the problem but that children with access to computers became lazy and didn’t commit the information to memory as well as students without computers. Part of the problem with this new digital generation is that the prevalence of computers in every area of their lives leads to information overload. It’s not that they are under stimulated but overwhelmed by facts and data that they have not learned how to process. To redress this educationalists recommend encouraging creativity to stimulate other areas of the brain. While computers can be a creative tool the user needs to have developed creative thought processes before it can instruct the computer what it wants to do. Technology is a big part of our world and our children’s futures so they will benefit from an early introduction (experts vary on this point but conservative estimates suggest that most children will be ready by four). However the learning process needs to be managed and supervised or the child will become frustrated when the computer does not do what they are expecting or asking it to do. Giving a child a specific project to follow will guide their learning and be more productive than leaving them totally to their own devices. Exploring the possibilities of the computer within a positive framework with help to develop rather than inhibit problem solving skills and applied creativity. Used appropriately as a tool to enhance learning rather than as a virtual teacher the computer shouldn’t act as a barrier to educational development in school aged children. Computers are only as good as the information we give them, and to a lesser extent so are our children.